Biography: Xitong Li holds a Ph.D. in Management (specialized in Information Technologies) from Massachusetts Institute of Technology (MIT), USA and a Ph.D. in Engineering from Tsinghua University, China. His research interests include how to use online data/information and the identification of causal impacts of using online data/information or social media. He has served as an editor or a reviewer of several highly recognized journals including Management Science, Information Systems Research (ISR), ACM Transactions on Internet Technology (ACM TOIT), World Wide Web Journal (WWWJ), IEEE Transactions on Systems, Man and Cybernetics, Part A (SMCA), IEEE Transactions on Automation Science and Engineering (T-ASE), IEEE Transactions on Service Computing (TSC), IEEE Transactions on Emerging Topics in Computing (TETC), IEEE Intelligent Systems, Decision Support Systems (DSS), Information Sciences (INS), Information Systems Frontiers (ISF), Journal on Data Semantics (JODS), Journal of Systems and Software (JSS), Enterprise Information Systems (EIS), Service Oriented Computing and Applications (SOCA). Biography: Xiaojiang Chen is a Professor and Deputy Dean of the School of Information Science and Technology, Northwest University. His research interest include wireless networks, smart sensing, mobile edge computing, and mobile computing. His research has been continuously supported by National Natural Science Foundation of China (NSFC). He has published over 100 papers in premier journals and conferences. 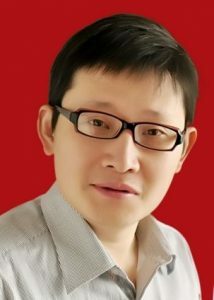 He served as the general secretary of ACM Xi’An Council, and the Chair of the YOCSEF XI’AN Community of the CCF (2014-2016), Director of the CCF Board (2016-2017). He has served as technical program committee member for many international conferences (such as IEEE MASS , IEEE ICCCN, IEEE ICC). He was the recipient of the Best Paper Nomination Awards at ACM CCS 2018, and Best Poster Award of the ACM SenSys 2018. 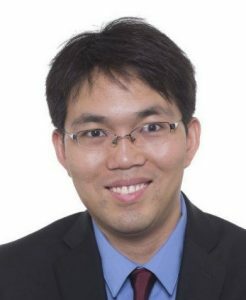 Dr. Chen will be serving as vice general co-chair of ACM Turing Celebration Conference. Abstract: In this paper, we focus on an unmanned aerial vehicle (UAV)-aided wireless power transfer (WPT) system, where an energy transmitter is deployed on UAV and sends wireless energy to multiple energy limited sensor nodes (SNs) for energy supplement. How to exploit the UAV’s mobility via trajectory design and adopt suitable scheduling scheme of SNs will directly influence the whole charging efficiency over a given charging period. From the perspective of fairness among SNs, our aim is to maximize the minimum energy received by all SNs by jointly optimizing the UAV’s trajectory and SNs’ scheduling scheme with the UAV’s maximum speed constraint as well as the initial/final location constraint. However, the established problem is in a non-convex mixed integer form, which is difficult to tackle. Therefore, we first decompose the original problem into two subproblems and then develop an efficient iterative algorithm by using the successive convex optimization technique, which leads to a suboptimal solution. Numerical results are provided to demonstrate the superiority of our proposed algorithm over the benchmarks. Abstract: Inspired by Deep Learning (DL) in successfully solving complex control problems, a new DL-based efficient resource allocation framework to solve the problems of node management and transceiver optimization in Cloud-RAN was proposed. The main purpose is to treat the input and output of resource allocation algorithm as a non-linear mapping, and use a Deep Neural Network (DNN) to approximate this mapping relation. First is to determine a series of optimization algorithms that can be learned by a fully connected DNN; second is to evaluate the performance of the DNN-based framework. Simulation shows that the DNN can achieve a fairly accurate approximation, compared with the traditional algorithm, DNN can achieve orders of magnitude in time computation, and can handle dynamic situation well. Abstract: Inspired by the success of Deep Learning (DL) in solving complex control problems, a new DL-based approximation framework to solve the problems of antenna muting and beamforming optimization in distributed massive MIMO was proposed. The main purpose is to obtain a non-linear mapping from the raw observations of networks to the optimal antenna muting and beamforming pattern, using Deep Neural Network (DNN). Firstly, the antenna muting and beamforming optimization problem is modeled as a non-combination optimization problem, which is NP-hard. Then a DNN based framework is proposed to obtain the optimal solution to this complex optimization problem with low-complexity. Finally, the performance of the DNN-based framework is evaluated in details. Simulation results show that the proposed DNN framework can achieve a fairly accurate approximation. Moreover, compared with the traditional algorithm, DNN can reduced the computation time by several orders of magnitude. Abstract: Although NB-IoT’s standardization gives us a future direction, we have to face some issues of existing networks converged, especially, the wireless sensor net-work (WSN) and cellular networks (CN) converged. On the other hand, the increase in number of sensor nodes and in the mobile devices is forcing the backhaul network architecture to undergo radical transformation. To meet the requirements of low latency and high quality of service (QoS), we put forward a novel converged network architecture. Meanwhile, we give three application scenarios. The analysis results show this architecture could facility the network design. Abstract: The sleeping quality is one of the most important factors to judge people’s health status, and has drawn increasing attention of the public recently. However, the quantified results of sleeping quality can generally be achieved in labs with the help of high precision instrument, such as Actigraphy or professional graph like Polysomnography (PSG), and are thus not available for the general public. In this paper, we construct a novel way of sleep-scoring system implanted in the iSmile app. iSmile first collects the sounds recorded by smart phone recorder, then classifies the sound frames with a light weight decision tree algorithm. Based on the number and the average amplitude of sleep-related events, we score the users’ sleeping quality in three aspects (respectively cough-score, snore-score and talk-score) using Pittsburgh Sleep Quality Index (PSQI) and Pediatric Sleep Questionnaire (PSQ). During users’ sleeping period, iSmile also collects data from the accelerator sensor to predict the users’ mood (presented in valence and arousal) and recommend smart alarm sounds to help improve their mood. For the experiment, we involved 5 participants (20 nights in total) and achieved high precision of predicting sleep events (above 89%), with the users’ valence and arousal improved by 14.57%. From succinct chart of sleeping score on the App UI, users can see the visualized results of their sleeping quality. Abstract: In coal mine, the routing protocol in Wireless Sensor Network (WSN) based on fog computing can effectively achieve combination the monitoring task with the computing task, and provide the correct data forwarding path to meet the requirements of the aggregation and transmission of sensed information. However, the energy efficiency is still taken into account, especially, the unbalance of energy consumption. 5G is a technical system of high frequency and low frequency mixing, with characteristics of large capacity, low energy consumption and low cost. With the formal freeze on 5G NSA standards, 5G networks are one step closer to our lives. In this paper, a centralized non-uniform clustering routing protocol based on the residual energy and communication cost. The protocol considers all nodes as candidate cluster heads in the clustering stage and defines a weight matrix P. The value of the matrix elements takes into account the residual energy of nodes and the cost of communication between nodes and cluster heads, selected as the basis for the cluster head. When selecting a cluster head, each time a node with the largest weight is selected from a set of candidate cluster heads, other candidate cluster heads within the competition range abandon competition, and then updates the candidate cluster head set. Experimental results show that the protocol optimized in this paper can effectively extend the network life cycle. Abstract: The issue about energy consumption of wireless network attracts more and more attention and becomes one of three energy efficiency features in 5G. The user associated base station switching on-off strategy can effectively reduce energy consumptions. The existing strategies mainly focus on Quality of Service for users, without fully considering the influence of user experience for specific applications and the problem of high time complexity of implementing the energy-saving strategy caused by the large scale of the 5G mobile network. This paper proposes Distributed Multiple-service User-experience Energy Saving Algorithm for base station (DMUES). Nonlinear integer programming is utilized to model the above problem, which achieves the tradeoff between user experience and energy consumption. By comparing with other relative energy saving strategy, the results show that DMUES achieves good performance on user experience and energy savings. Furthermore, the time complexity of energy saving strategy is reduced due to community partition. Abstract: In this paper, we propose an alarm sound recommendation system based on music generation. The recommendation system will be integrated with an application named iSmile, which is a sleep analysis and depression detection application built by the authors in previous work. We use a music generating algorithm based on GAN (Generative Adversarial Nets) as the core of the recommendation system. To the best of our knowledge, it is the first application recommending real-time generated music rather than existing music. In the following part of the paper, we detail the algorithm, the experiment we conducted and the result analysis. The result shows that the recommendation system can effectively generate and recommend proper alarm sound according to the emotion prediction. Abstract: Mobile network performance and user Quality of Experience (QoE) will be negatively affected by the explosion of mobile data traffic. Recent research has focused on local caching at the wireless edge, as motivated by the 80/20 rule regarding content popularity. By caching popular contents at base stations (BSs) , backhaul congestion and content access latency can be dramatically reduced. To address the limited storage size of BSs , an algorithm optimizing cooperative caching has been highlighted. Contents requested by mobile users that cannot be obtained locally could be transferred by cooperative BSs. In this paper, we propose a cooperative caching algorithm based on BS content access patterns. We use tensor decompositions with distance constraint to analyze interaction between users, contents and base stations. Thus, BSs with small geographical distances and similar content access patterns constitute a cooperative caching domain. Simulation results based on a real dataset of usage detail records (UDRs) demonstrate the superior performance and promising practical gains in caching of the proposed caching method compared to user clustering and BS clustering. Abstract: In future wireless communications, there will be a large number of devices equipped with several different types of sensors need to access networks with diverse quality of service requirements. In cellular network evolution, the long term evolution advanced (LTE-A) networks has standardized Machine-to-Machine (M2M) features. Such M2M technology can provide a promising infrastructure for Internet of things (IoT) sensing applications, which usually require real-time data reporting. However, LTE-A is not designed for directly supporting such low-data-rate devices with optimized energy efficiency since it depends on core technologies of LTE that are originally designed for high-data-rate services. This paper investigate the maximum energy efficient data packets M2M transmission with uplink channels in LTE-A network. We formulate it into a jointed problem of Modulation and-Coding Scheme (MCS) assignment, resource allocation and power control, which can be expressed as a NP-hard mixed-integer linear fractional programming problem. Then we propose a global optimization scheme with Charnes-Cooper transformation and Glover linearization. The numerical experiment results show that with limited resource blocks, our algorithm can maintain low data packets dropping ratios while achieving optimal energy efficiency for a large number of M2M nodes, comparing with other typical counterparts. algorithm. Then, to obtain an optimization scheme, a radio resource scheduling strategy is proposed, taking into account Quality of Service (QoS) requirements, maximum transmit power, and same layer interference. The effectiveness and optimal solution of the method are shown by simulation results. Abstract: Fog-assisted Industrial Wireless Sensor Network (F-IWSN) is a novel wireless sensor network (WSN) in the industry. It not only can more efficiently reduce information transmission latency, but also can more conducively achieve real-time control and rapid resource scheduling. However, similar to other distributed networks, it also faces enormous security challenges, especial-ly from internal attacks. The differences from those traditional security schemes are that, one is the trade-off between security, transmission performance and energy consumption to meet the requirements of information convergence and control, the other constructs a multi-dimensional selective forwarding scheme to achieve the real time transmission. In this paper, we propose a Gaussian distribution-based comprehensive trust management system (GDTMS) for F-IWSN. Furthermore, in its trust decision, the analytic hierarchy process is introduced to achieve the trade-off between security, transmission performance and energy consumption. The proposed trade-off can effectively select the secure and robust relay node. Namely, Trust Management-based Energy Efficient Routing Scheme (TME2R). In addition, GDTMS is also applicable to defending against bad mouthing attacks. Simulation results show that, the comprehensive performance of GDTMS is better than other similar algorithms, it can effective-ly prevent the appearance of network holes, and balance the network load, pro-mote the survivability of the network. Abstract: In order to improve the traditional analytic hierarchy process method, information entropy and interval fuzzy number are introduced to AHP respectively on the weight of the hierarchy and the weight of the index. The effectiveness of the improved method is tested by a Simulation example which is based on risk assessment index system of miniature Internet of things system. Meanwhile, 5G as the fifth generation of mobile communication technology, will be widely used in entertainment, health care, education and autonomous driving. It will extend the capabilities of various applications on our personal devices and wearable devices will fill every corner of our lives by the application with miniature Internet of thing systems. At the same time,5G also faces the threat of information security risk, which is our paper concerned. been a viable solution. However, the current traffic measurement method with the five tuples cannot recognize the deep information of flows, and the Deep Packet Inspection (DPI) deployed at the gateways or access points is lack of traffic going through the internal nodes(e.g., base station, edge server). In this paper, by means of Deep Q-Network (DQN) and Software-Defined Networking (SDN) technique, we propose a flow-level sampling framework for edge devices in the Mobile Edge Computing (MEC) system. In the framework, an original learning-based sampling strategy considering the iterative in fluences of nodes is used for maximizing the long-term sampling accuracy of both mice and elephant flows. We present an approach to effectively collect traffic packets generated from base stations and edge servers in two steps: 1) adaptive node selection, and 2) dynamic sampling duration allocation by Deep Q-Learning. The results show that the approach can improve the sampling accuracy, especially for mice flows.